a. Use the power of word of mouth. Tell people in your building, your Mommy group, parents in your kids' classes. Send emails (post to Facebook) to your circle of friends, condo, school groups. b. Make sure your Recommendation goes beyond the basics. Include examples & If you have additional references from prior employers to add to yours, include that in your post. a. Read through the "Questions for References" on the PSP website to better prepare yourself for what questions may be asked. b. Follow up in a timely manner with people who contact you for a reference. c. Be available for phone calls or face-to-face meetings, not just emails. d. Be prepared to give examples that show why your nanny is great. e. After you speak to a potential employer, offer to be available to answer other questions as they think of them. Let them know that your nanny will be looking for a job, ask them to send you a reference and get updated contact information. Have them start spreading the word that the nanny needs a job. 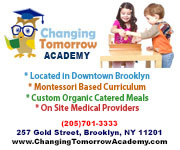 Read through the Park Slope Parents Classifieds Nanny Recommendations and other nanny recommendations on other sites like care.com to see what other people are posting. You'll find that too many people write about an "Amazing, Wonderful, Loving, Fantastic Nanny." Strive to write something different from the overly gushy, perfect nanny posts. Talk about what made your nanny a good match for your family, or what kind of family your nanny would do best with. Interviews. Just because she's a great nanny doesn't mean she's great at interviewing. a. Go through the list of interview questions on the PSP website and coach her. b. Remind her of experience she’s had in your home that others will want to hear about. c. Remind her about what you liked (and didn't like) about what she did when she interviewed with you. d. Work with her to come up with a list of questions to ask potential employers. An interview should be a two-way conversation. This will help her decide if the family is a good fit with her working style or if she'd be unhappy with the employer. e. Resume. While not absolutely necessary, having a resume shows a level of professionalism that can make her stand out. f. Training. If there is relevant training (CPR, home safety, etc) she can get, help her find and take a class, or update a certificate. 7. Interview potential employers. Remember, you don't just want your Nanny to have a job, you want her to have a GOOD job. a. Try to find out what kind of employer the interviewee will be. Does she seem to have it together? Frazzled? A stealth bomber parent who is hard to please? b. Make sure that the situation is one the nanny wants. Desperate nannies (and employers) may agree to things that won't work in the long run. a. Inflating the truth can set your nanny up for a short-term job when she doesn't achieve expectations. No nanny is perfect, and saying, "she has no faults" is a trigger for some people that she shouldn't be hired. b. Talk about difficulties you've had. Knowing some of the ways that you and your nanny negotiated the employer/employee relationship will give her next employer a good start. You may be feeling guilty, sad, and even a little desperate. You want your nanny to find a job but also feel obligated to pay her until she finds one. Don't let these feelings negatively impact a potential employer or your nanny. Help your nanny advertise her services. There are many places where she can post her availability. While we do not have explicit experience with these other websites, these are places our PSP members have used to hire and post for babysitters. "Some neighborhoods have FB parent groups. For example, a friend of mine is part of a very active FB parent group in the Gramercy Park/Stuy Town area in the city. If you have friends on such FB groups, maybe ask them to post for you?" "There is a bococa (boreum hill, cobble hill, Carroll gardens) parent group. I don't have the address but you can probably Google. Respond to the Help Wanted Ads on that group." "A few I can think of, aside from the sites like care.com are a MeetUp group called First Time Upper West Side Moms, an FB page for Upper East Side Moms, and others." "I went to an NYC business school and they have alumni lists. See if your alma maters have NYC based listservs?" 12. Recommend your nanny on the Park Slope Parents Classifieds! If you want to help your current or former nanny find a job, Park Slope Parents is a great way to get the word out there that your nanny is available. Posts recommending nannies on the PSP Classified list have helped make many excellent matches between families who need a nanny and nannies looking for work. Please be sure to follow ALL the PSP requirements when writing your Nanny recommendation on the Classifieds list. But this will only work if you take the time to do it right. The power of Park Slope Parents is in the parent-to-parent connections. You owe it to your nanny and your neighbors on the list to put in the effort needed to effectively advertise your nanny’s availability. Doing some of the heavy lifting up front can greatly increase the chances that she not only finds a job, but one that will be satisfying for both the nanny and the new employer. Make sure your recommendations following all the Requirements for a Nanny Posting HERE. a. Parent to parent connections are much more likely to lead to a job for your nanny than having the nanny do the contacting. People who post on PSP are doing so to get recommendations from parents, not to be contacted by sometimes desperate nannies who may call multiple times to a potential employer. b. NOTE: It's against PSP Policy to forward emails to anyone who is not on the list without their permission. It’s also a waste of time, both for the nanny and the potential employer. Many parents have told us they are annoyed by and do not respond to calls that come directly from nannies. c. Letting a nanny go it alone may give the message to potential employers that the nanny wasn't good enough (or important enough) to you that you took the extra time to help her find new employment. Spend the extra time to make the connections yourself.